Hello there, my dear lovies. Excuse me for my month hiatus. This wasn't planned at all either. It just seemed to happen. I went on a family vacation during Thanksgivings and have been working on some personal things in my life. Thankfully I now have the time to post a review on a Korean Beauty item from a beauty brand called W. Lab, which I've never heard about until Q-depot contacted me to review one of their products. I decided to choose the Beam Cushion from their line since my current skincare routine has been working great for me. The packaging is pretty simple and clean. Black print on a white box with only the cute little "bee" having a splash of yellow. It is honey, so you gotta have a bee! The color option is easily identified. I got #21, which was the lightest shade they offered in the cushion. Upon opening the box, you pull out another package, which houses the compact and W. Lab's own cushion puff. Both are in sealed packages to ensure they haven't been tampered with before reaching you. Okay, so the compact is so adorable! It has the same cute bee as the box has. The compact is primarily white with some gold accents, which I adore! It's shaped just like another other cushion compact that I've seen. It also opens and functions like the typical compact, which is good. There's a seal over the cushion to ensure that it's fresh and hasn't been used previously. W. Lab W-Honey Beam Cushion is a popular Korean makeup product, which contains honey to provide enough moisture and glow to your skin. It has a strong power of covering blemishes and gives you a flawless finish. One touch will give you a moisturized and glowing skin. It comes with SPF50m PA++ to protect from sun. - Island honey extract (more than 38%) + Manuka honey contained. 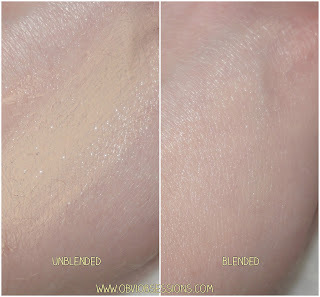 - Moisture makeup that is not flaky. 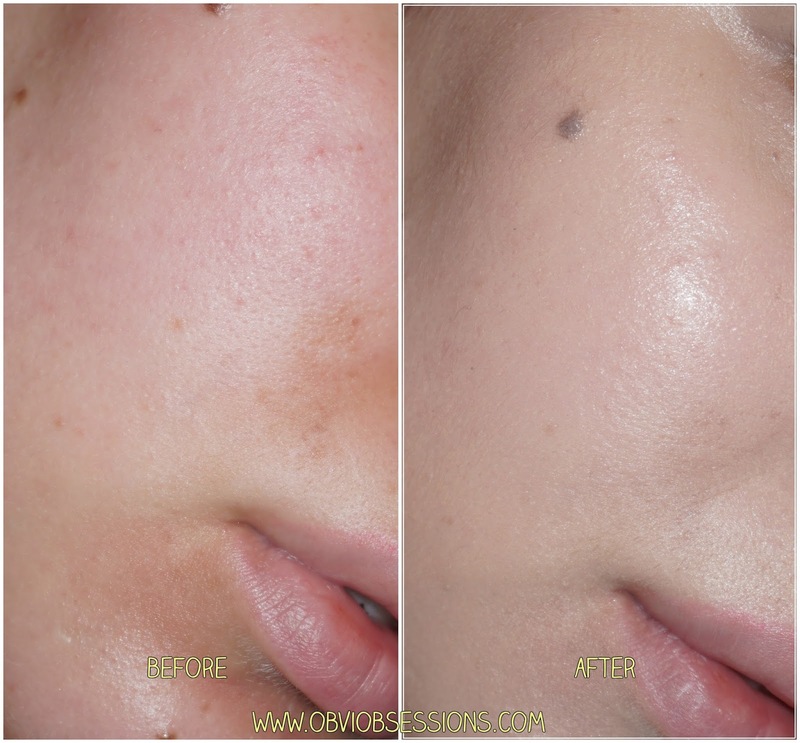 - Strong coverage and bright skin color is presented. - Special patented macaron unique cushion of W. Lab. - Triple function is reported to Ministry of Food and Drug Safety. Just like most cushion compacts, there's a cushion filled with the BB Cream. There was quite a lot of product in the cushion. Sometimes I find trouble with cushion compacts and not being soaked with enough product, but this cushion compact seems really full, though it looks like it's settled to one side. Here, you can definitely see the brightening and dewy effects this cushion has on my hand. There isn't a strong scent either. In fact, it smells more like makeup than anything. You know how some cushion compacts have a perfumed smell? This one does not and I prefer that more than having a compact that has a scent. My senses can get bad so I really enjoy that this has no smell. This side by side comparison makes me happy. You can visibly see the discoloration in my skin and the redness and this cushion compact covers all the imperfections and brightens as it says it does. I am so pleased with this cushion compact. However, I felt like my experience would have been better had my skin been in a better condition. If you have dry patches on your skin or haven't moisturized properly before applying this cushion foundation, you'll have a bit of an issue. Other than that, I found this cushion to be absolutely amazing and I would purchase this again. If you suffer with dry skin, this product may not be for you. If you're interested in this Korean Beauty item, you can check it out here on the Q-depot website. Thanks for reading and I hoped you enjoyed this review! I also received this cushion today and I'm looking forward to try it. The packaging design is cute and I love that it contains honey as ingredient. Somehow it was pretty dry on my oily skin and I don't know why..If the shades are darker then I wouldn't mind trying it again..